Master Box Dimension : 17" X 9" X 15"
Wooden animal balance building game. 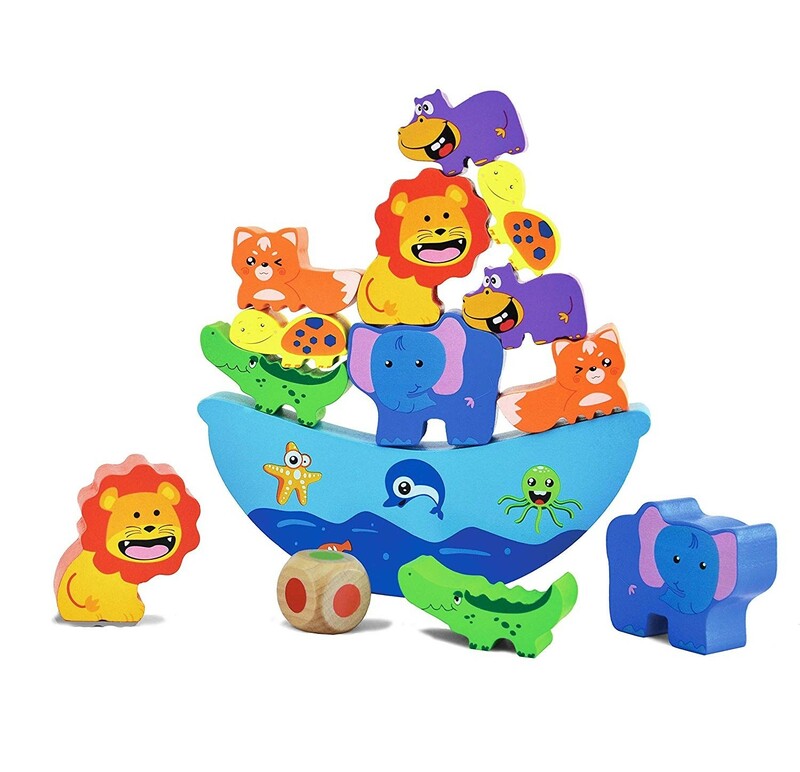 Set comes with 13 wooden balance animal blocks and a boat. Stack the animals up but make sure the boat is balanced on both sides or else it will tip over. Great for kids to practice hand-eye coordination and critical thinking.